Aharon Yehuda Leib Shteinman (1914-2017) was born in what is now the city of Brest, Belarus. 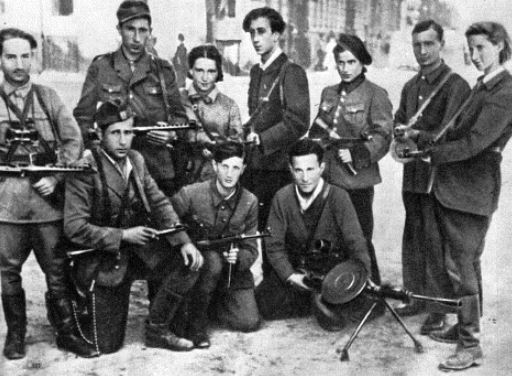 To avoid being conscripted into the Polish army, the young yeshiva student fled to Switzerland with some classmates. He continued his diligent studies in a Swiss yeshiva until being arrested during World War II and sent to a labour camp. 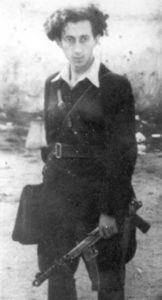 Shteinman was the only member of his family to survive the Holocaust. He settled in Israel after the war. There, the young rabbi quickly made a name for himself as a Torah prodigy, and was soon appointed rosh yeshiva, head of a Torah academy. He would serve as a rosh yeshiva for the next five decades, while also establishing a number of children’s schools for the underprivileged. Meanwhile, Rav Shteinman wrote profusely, authoring dozens of bestselling books and discourses on Torah, Talmud, and Jewish thought, as well as being recognized as an expert in the field of education. 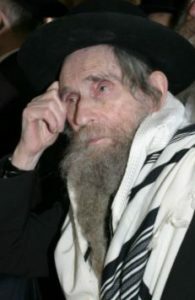 While abstaining from politics himself, Rav Shteinman was the spiritual leader of Israel’s Degel HaTorah party, playing an influential role in government. In his 90s, and in frail health, the Rav decided to journey around the world to strengthen Jewish communities. Countless thousands gathered to greet him and hear his wise words in Los Angeles, New York, Mexico City, Buenos Aires, Manchester, Odessa, Berlin, Gibraltar, Paris, and many more small towns. On these trips, he would give as many as 10 talks a day. You are also living on a miracle. – Rav Shteinman, to a doctor that told him the frail rabbi is “living on a miracle”. 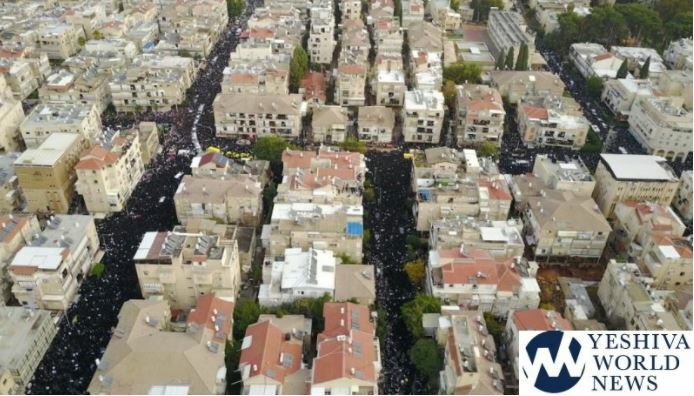 The streets of Bnei Brak fill with hundreds of thousands of mourners for Rav Shteinman’s funeral procession. 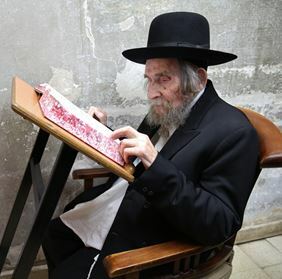 This entry was posted in Religious Leaders, Writers & Thinkers and tagged Belarus, Bnei Brak, Chief Rabbi, Degel haTorah, Gadol Hador, Holocaust, Humility, IDF, Inspirational, Israel, Modesty, Nachal Charedi, Orthodox Jews, Piety, Poland, Rabbi, Rosh Yeshiva, Switzerland, Talmud, Torah, Wisdom, World War II, Yeshiva on December 13, 2017 by Jew of the Week.